Editor's note: This story was updated April 28 to note that the Texas House gave House Bill 28 final approval. 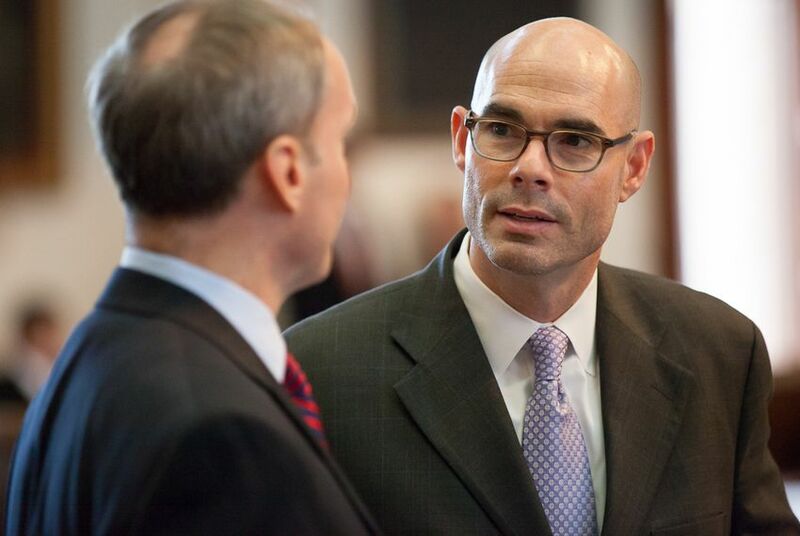 The proposal, House Bill 28, by state Rep. Dennis Bonnen, R-Angleton, would not reduce the state’s franchise tax during the current penny-pinching legislative session, but it would do so in future years. Under Bonnen's bill, economic growth would trigger reductions in the tax, which currently brings in about $8 billion every two-year budget cycle, until it ultimately disappears. “Years later, you’ll be embarrassed you even supported the idea,” Johnson told the chamber. Howard chimed in: “We continue to tie our hands, decrease revenue streams, dedicate what we have, and there’s no way we can cover the growth in health care and education." Finally, as the debate quieted down, one Republican rose to dismiss the Democrats’ objections as the debate drew to a close. “I couldn’t have said it better myself,” Bonnen said. The tax cut proposal passed with 98 votes in favor and 45 votes against, mostly along party lines. Just six Democrats voted for the tax cut: state Reps. Joe Deshotel of Beaumont, Bobby Guerra of Mission, Ryan Guillen of Rio Grande City, Richard Peña Raymond of Laredo, Tracy King of Batesville and Joe Pickett of El Paso. The bill now heads to a committee in the Senate, which last month passed a similar proposal to end the business tax. Businesses dislike the franchise tax, often called a “margin tax,” because they say it’s overly complicated and can punish them in less-prosperous years. Because it's based on a business’s gross receipts, a business can still be required to pay the tax even in years it takes a loss. Many call the tax, which was passed as a way to reform the state's school finance system, an unnecessary burden, and high-profile Republicans including Gov. Greg Abbott have sought its demise. Lawmakers in 2015 cut the tax rate by 25 percent, which gave them $2.6 billion less revenue to help craft a budget this year. Proponents of the tax's elimination argue it would stimulate the state’s economy and create jobs. In the short term, it’s difficult to say just how much revenue is at stake in Bonnen's proposal because the tax is highly dependent on economic conditions. A fiscal note written by the state's Legislative Budget Board estimated it could cut public school funds by up to $3.5 billion in the 2020-2021 biennium.